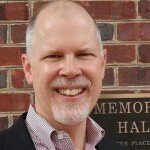 Tom Mackey will take the conversation from information literacy to metaliteracy in today’s opening presentation. Participants can follow that with an information literacy showcase, featuring four faculty and librarian pairings on different instructional projects. A mobile photo safari will set out in the morning. A University of Delaware showcase spans the day with work from eight faculty. An afternoon workshop on GIS complements the information literacy track, followed by a session with Tom Leitch, English. The maker theme will have it’s second workshop today as a tour of maker spaces on campus. Participants can attend any of the three maker workshops independently. As a redefinition of information literacy, metaliteracy shifts the focus from consumer to producer of information, and from user to maker in collaborative makerspaces that are actual and virtual, networked, and social. Metaliteracy is a framework for learning that emphasizes metacognition and the production of original and repurposed information in a participatory and connected world. The metaliterate individual reflects on their own learning, expands quantitative and qualitative reasoning, and contributes to society in a productive and ethical manner as an engaged citizen. Metaliteracy supports our goals as educators to design curriculum that advances critical thinking, reading, writing and creating through multiple formats and settings. This keynote will explore the theory of metaliteracy and illustrate practical applications in several projects developed by the Metaliteracy Learning Collaborative. This work includes three Massive Open Online Courses (MOOCs) and a competency-based digital badging system. This presentation will introduce the Metaliteracy Learning Goals and Objectives as a flexible, adaptable, and evolving resource, and highlight the influence of metaliteracy on the Association of College & Research Libraries (ACRL) Framework for Information Literacy for Higher Education. Thomas P. Mackey, Ph. 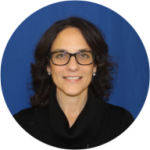 D. is Vice Provost for Academic Programs at SUNY Empire State College. 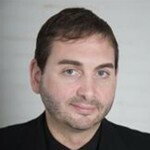 His academic and professional interests are focused on the collaborative development of metaliteracy. He is interested in the connections to open learning, the design of innovative social spaces, and the critical engagement with emerging technologies. His partnership with Trudi Jacobson to originate the metaliteracy framework emphasizes the reflective learner as producer and participant in dynamic information environments. They co-authored the first article to define this model with Reframing Information Literacy as a Metaliteracy (2011) and followed that piece with their book Metaliteracy: Reinventing Information Literacy to Empower Learners (2014). This team co-authored the essay Proposing a Metaliteracy Model to Redefine Information Literacy (2013) and a new co-edited book for ALA/Neal-Schuman entitled Metaliteracy in Practice (2016). Previously they co-edited several books on faculty-librarian collaboration and co-authored several articles about information literacy. Tom is part of the editorial team for Open Praxis, the open access peer-reviewed academic journal about open, distance and flexible education that is published by the International Council for Open and Distance Education (ICDE). He is also a member of the Advisory Board for Progressio: South African Journal for Open and Distance Learning Practice. Connect with Tom via LinkedIn https://www.linkedin.com/in/thomasmackey and Twitter: @TomMackey. How can an oral history project help students tackle the contextual nature of authority? How does the creation of broadsides based upon an historical collection help students examine how the format in which information is delivered impacts the way it is received? What unique opportunities to examine audience does the creation of a video present to students? Would the experience of creating a data-layered city map increase students’ ability to analyze aspects of inequality along lines of race and class? This workshop will provide some insight into these questions by highlighting innovative assignments which challenge students to critically engage with information by placing students in the role of creator. The workshop will feature four lightning talks by faculty members and librarians that will detail these student projects. Following the lightning talks, participants will have the opportunity to engage in a cross-disciplinary discussion of the challenges inherent in fostering information literacy among students and ideas for taking a metaliteracy-inspired approach to these challenges. Meg Grotti is an associate librarian and Assistant Head of Instructional Services at the University of Delaware Library, where she provides leadership and support for the cross-departmental team of librarians who provide instructional services. Meg also serves as library liaison to the School of Education. Meg holds an MLIS from Syracuse University and an M.Ed in Educational Technology from the University of Delaware. How can an oral history project help students tackle the contextual nature of authority? 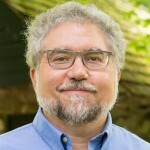 Roger Horowitz is Associate Director of the Center for the History of Business, Technology, and Society at the Hagley Museum and Library and Professor of History at the University of Delaware. He has published widely in the area of food history, most recently Kosher USA: How Coke Became Kosher and Other Tales of Modern Food. Oral history has been a part of his research and teaching activities for 30 years. In the mid-1980s he worked on a National Endowment for the Humanities grant to interview workers in the American meatpacking industry. These interviews were a major source for his dissertation, and some excerpts were published in his book, Meatpackers: An Oral History of Black Packinghouse Workers and their Struggle for Racial and Economic Equality. Since then Dr. Horowitz has continued to use oral interviews as part of this research, taught many oral history training sessions, and offered courses on oral history at the University of Delaware, most recently on the history of Newark’s Chrysler assembly plant. He has served as President of Oral History in the Mid-Atlantic Region and as a member of the executive council of the Oral History Association. L. Rebecca Johnson Melvin is Librarian and Head of the Manuscripts and Archives Department and Curator of the Joseph R. Biden, Jr., senatorial papers at the University of Delaware Library. She is responsible for all aspects of collection development and of supervising staff involved in managing the primary source collections, which range in format from traditional works on paper to photographs to audio-visual recordings to born-digital media, including web sites. 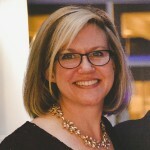 Her professional and publishing activities reflect experience with congressional collections and political papers, literary manuscripts, women's collections, regional history (Mid-Atlantic), scrapbooks as an archival genre, photography and visual materials in collections, archival description standards, and conservation of archival collections. 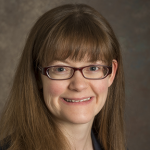 She is involved with planning digital initiatives using manuscript collections and outreach for primary sources including instruction, exhibitions, and internships. 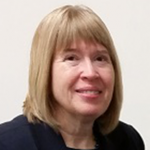 She is co-author with UD faculty Deborah C. Andrews and Vicki Cassman of “Learning as Doing: Undergrads Using Special Collections for Conservation and Material Culture Studies,” in Past or Portal: Enhancing Undergraduate Learning through Special Collections and Archives (ACRL 2012). How does the creation of broadsides based upon an historical collection help students examine how the format in which information is delivered impacts the way it is received? Martha Carothers teaches typography and image in the Visual Communications program, along with book arts. Visual design projects in her courses integrate the plethora of resources in Morris Library Special Collections, University Museums, and Faculty Commons. Carothers is a past chairperson of the Department of Art, former Associate Dean in the College of Arts and Sciences, and previous Associate Director of University Undergraduate Studies. Curtis Small is Assistant Librarian in the Special Collections department of University of Delaware Library. As coordinator of public services for the department, he handles instruction, reference requests and also coordinates exhibitions. 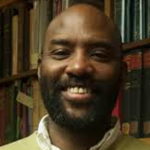 Curtis has a particular interest in the history of the book and in African American print culture. He is also a project member for Colored Conventions, a digital humanities project here at UD. Prior to obtaining an M.L.I.S. degree in 2013 (Simmons College), he earned a Ph.D. in French from New York University, and taught French language and French and Francophone literature at the college level, with a focus on Haitian literature." What unique opportunities to examine audience does the creation of a video present to students? 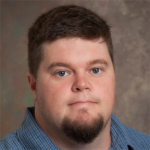 Michael McCamley's research and teaching interests include composition pedagogy and theory, literacy studies, writing program administration, and creative writing pedagogy. He has taught courses in first-year composition, honors composition, creative writing, professional writing, and literature, and developed on-line writing courses for distance education. His work has appeared in WPA: Writing Program Administration, College Composition and Communication, and College English, and his creative work has received several honors, including a production by the University of Arizona Theatre Department. Would the experience of creating a data-layered city map increase students’ ability to analyze aspects of inequality along lines of race and class? Jessica Edwards, Ph.D. has developed and taught courses in professional writing, critical race studies, and composition studies. Her scholarship considers ways to engage critical race theory, the intersections of race, racism, and power, in writing classrooms. 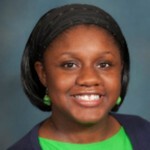 Dr. Edwards was a Faculty Diversity Scholar in 2015 with the Center for Teaching, Assessment, and Learning at UD and her scholarship has appeared in Computers and Composition Online. Linda Stein, M.S., M.A. is a Reference and Instructional Services librarian at the University of Delaware Library with subject responsibilities for English and American literature, comparative literature, theatre, and fashion and apparel studies. 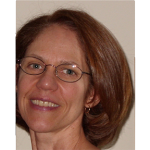 She has contributed articles on information literacy instruction to Reference Services Review and Research Strategies, and is the co-author of Literary Research and the American Realism and Naturalism Period: Strategies and Sources. This session continues tomorrow: Thursday, June 2, 10:30 a.m. – 2:00 p.m.
Special note: This session requires an additional registration. Registrants will be provided with a list of apps to install before the session. This session will be continued on June 2. The mobile photo safari is designed to encourage the use of your own photography for course-related materials and activities by exploiting the ubiquity and convenience of mobile devices. For you and your students, mobile photography presents new opportunities for community connections. The two-part session will include a photography lesson, photo assignment, and photo shoot on campus and Main Street. You’ll work with your own mobile device to post-process images, tag and catalog, and post online. The event is intended for iPhone, iPad, Android, and Windows Phone owners. In this hands-on session, Debbie Jeffers will provide an overview and instruction on the apps required for tomorrow’s photo shoot and photo-processing activity. You’ll activate the photo sharing sites for this event and share screen names to being following fellow participants. Carolyn is a Family Nurse Practitioner with years of primary care experience, and many years experience as an Emergency Department RN. She has both her BSN and MSN from the University of Delaware. 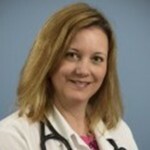 Carolyn’s special interests include chronic care management of diabetes, hypertension, and hyperlipidemia. She also has interest in women’s health as well as health promotion and acute care management. Carolyn also sees patients with a Parkinson's Disease specialist via telemedicine. 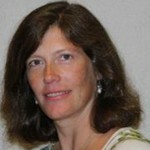 Jacquie Truluck is the Director of Clinical Education for the brand-new Communication Sciences and Disorders Program. She has opened the Speech-Language-Hearing Clinic on STAR Campus that serves the campus and the community and is in the process of accepting the first class of students to the program. Jacquie brings 15 years of clinical experience and 4 years of managerial experience as a licensed, certified Speech-Language Pathologist. By working in a variety of settings (hospital, school, home and nursing home), Jacquie recognizes the importance of graduate students having the breadth and depth of clinical experiences to represent the profession. Her focus is to build a program that offers life-long learning to support the Speech-Language Pathology profession through coursework, research, supervision and continuing education training. With recent technology, student physical activity can be recorded, automatically updated to a database, and made available as a resource for teaching, research, and health services. The objective of this pilot/feasibility study, to be completed at the end of the Spring 2016 semester, is to create a resource for engaged, experiential learning that concurrently benefits student wellness. At the beginning of Fall 2015, Fitbit® Zip™ monitors were distributed to 150 students, including the 25 students in Research Methods (KAAP 400). This course introduces students to research on health and physical activity, research design, statistical analyses, and scientific writing. The physical activity database served as a resource for in-class exercises and assignments. The subsequent Spring 2016 semester of Research Methods served as a control group, with students using the physical activity database but not contributing to it with their own activity. The efficacy of this project as a teaching tool will be evaluated through comparisons of class evaluations, custom surveys, and instructor evaluation. The data from this study will determine the feasibility and potential efficacy of our approach. We ambitiously envision a scenario where UD distributes activity monitors to all students upon their arrival, recording activity throughout their student experience and beyond. These data will then be made available for teaching and research across disciplines so that nearly all students interact with the database. Dr. Crenshaw joined the Department of Kinesiology and Applied Physiology at the University of Delaware in August of 2014. The long-term goal of his research is to extend the healthspan of patient populations through interventions to reduce the incidence of falls, lessen the severity of fall injury, and enable physical activity. His studies often employ biomechanical analyses of gait and fall recoveries, and his research is applicable to older adults, individuals with lower-extremity amputations, individuals with chronic stroke, and children with cerebral palsy. Undergraduate students play an important role in his ongoing studies, and he has a track record of including modern research tools as an interactive part of his teaching efforts. Anna Wik and Roger Wagner will present two perspectives on 3D visualization tools. To design a compelling physical space, it is necessary to conceive of and represent an idea in multiple dimensions, planes, and scales. In the course CAD for Site Design, landscape design & civil engineering students use 3D printing technology to create a scaled physical representation of an object of their own design. In this case, the object was a simple site furnishing, which they first draw by hand, then in AutoCAD, and finally modeled using SketchUp before sending it to print. This iterative design process allows students to repeatedly test their design, as well as investigate the material limitations and use of 3D printing as a tool. 3D printing technology has applications in the world of landscape architecture as a mechanism to design and fabricate complex site furnishings or other hardscape elements. This allows the entire process to stay in the designers hands as designs can be transmitted directly to fabricator, without the use of a contractor or traditional construction documentation. Digital three dimensional files can be generated by various kinds of microscopy, x-ray scans and scanning devices. This data must be rendered (given a surface), scaled and converted to a file format which is used by 3D printers. Printed 3D models can be exceptionally useful in teaching structure and form where tactile sensations coupled with visual input enhance understanding such as in the anatomical sciences. 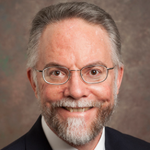 Dr. Wagner is a native of Minnesota and completed his Ph.D. in Cell Biology in 1971. He was a postdoctoral fellow at the Yale University Medical School from 71-73 and then joined the faculty at the U. of D. He retired in 2006 but remains active in teaching (Microscopic Anatomy) and collaborative research involving 3D modeling and printing of blood vascular systems and Zooplankton (Radiolarians and Foraminiferans). 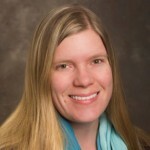 Anna Wik is an Assistant Professor in the Department of Plant and Soil Sciences and a registered landscape architect. She has designed, documented, and managed construction of many landscape projects in the region, working with community and non-profit partners including Philadelphia Parks and Recreation, the Philadelphia Water Department, Longwood Gardens, and numerous community groups. Anna’s courses investigate the relationship between the practice of design and the built environment, and her design focus is on the urban landscape, the creation of equitable public space, and the impact of community partnerships. She is extremely excited about the new professional degree program, the Bachelor of Science in Landscape Architecture, being offered for the first time in fall of 2016. Time: 1:00 – 3:15 p.m. This session is by invitation only for faculty participating in the CORE program. Special note: This session requires an additional registration. Registrants will be provided with a personal ArcGIS Online account for the hands-on portion of the workshop. Most data has a geographic component and visualizing the geographic component may reveal hidden patterns of interest to the researchers. This session will focus on the use of geospatial visualizations and data for project-based learning. Participants will receive a brief introduction to geographic information systems (GIS) and be introduced to ArcGIS Online, a cloud- based data and mapping platform. Participants will have a “hands-on” experience exploring geographic relationships; examining geographic units, data sources; and learning how to create and import CSV files to plot points of interest. 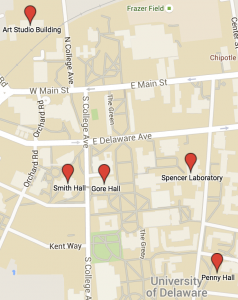 Olena supports the UD Geospatial Research community as a technological leader and consultant to campus GIS projects in research and administrative realms. She has an M.A. 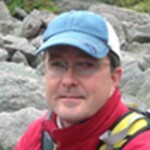 in Geography from Western Michigan University with GIS specialization and has been working with GIS for over 13 years. Over the years Olena has worked in developing and managing servers and databases, and she has extensive experience in creating, managing, and editing ArcGIS data. She is also teaching a GIS course at the university. 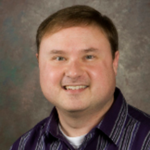 John A. Stevenson is an associate librarian in the Student Multimedia Design Center. 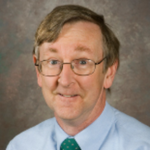 He has served as selector for spatial data and U.S. government information at the University of Delaware Library since 1990 and in 2012 became selector for the history of science. 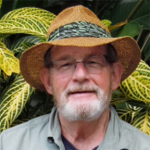 His expertise includes: Adobe Premier Pro and other multimedia applications; photography; GIS and data acquisition; and the Library’s microform, map, and CD-ROM collections. As an instructor for the multimedia literacy program, he helps faculty to teach their classes the tools they need to create multimedia projects, which include any combination of video, audio, text, and graphics. He has a B.A. in History from Binghamton University and an M.L.S. in Library and Information Science from the University at Buffalo. This session will explore the tools of making through a tour of the following University of Delaware maker resources. The availability of open-source micro-controller kits that can be used to build simple digital devices to sense our environment sense has changed how we make observations in our daily life. Whether it’s a sensor that lets you know your basement is flooding or an array of sensors that tells you about global climate change, the technologies behind our observations are very similar at their core. In the Geotechnology Education Laboratory in Penny Hall, users will get a hands-on experience in sensing different aspects of their environment (moisture, temperature, and light) using Arduino micro-controllers. Introduction to facilities dedicated to developing the next generation of artists, designers, engineers, and entrepreneurs, this facility includes a laser cutting, 3D printing, electronics lab and more. Michael O’Neal's research centers on finding unique ways to observe and characterize human-induced changes to the Earth’s surface, ranging in cause from deforestation to climate change. He employs technology such as 3D laser scanners to assess landscapes, drone-mounted cameras to collect custom aerial imagery, and environmental sensors to monitor attributes such as temperature, humidity, moisture, and others. Because commercially available technology rarely addresses the specific needs of his projects or field sites, his research group constantly adapts and modifies off-the-shelf equipment to suit their evolving field experiences and research needs. Ashley John Pigford, Associate Professor of Graphic and Interaction Design at the University of Delaware, applies design thinking to interrogate meaningful relationships between technology, materials and human experience. He received his MFA in Graphic Design from the Rhode Island School of Design in 2006 and his BS in Visual Communications from the University of Delaware in 1996. From 1996-2003 He had a successful career as co-founder and Creative Director of a design company in Los Angeles, CA. His notable design work includes motion graphics for Firefly TV series and DMX’s “Who We Be” music video, plus packaging design for Blink 182’s major label debut “Dude Ranch”. He has received research grants from the Center for Creativity, Craft and Design, the University of Delaware and the Creative Arts Council at Brown University, and a State of Delaware Established Artist Fellowship. 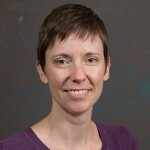 Dustyn is a Philadelphia-based engineer and Assistant Professor of Instruction at the University of Delaware, where she teaches classes focused on interdisciplinary design and robotics. Dustyn holds a BS in Mechanical and Biomedical Engineering from Carnegie Mellon University, an MS in Biomechanics & Movement Science from the University of Delaware, and a PhD in Mechanical Engineering from New York University. The reliance on end-of-year student evaluations of teachers has long been lamented. Even teachers with high scores don’t believe that end-of-semester questionnaires often get deeply to the heart of what and how students learn. The delayed and summative nature of these year-end evaluations often fail to improve teaching in meaningful and immediate ways. We will report on our pilot program that uses a quick in-class student survey whose results are made immediately visible with the purpose of engendering a full discussion between students and the observer (a peer teacher from the program). Instructors can then make immediate use of the student feedback and assess the effects of the changes they make to their classrooms. We will discuss ways to improve teaching by using similar formative assessment in single classrooms, program-, or department-wide. Christine has been at UD for almost seven years. She teaches ENGL110, Writing the New Media, Introduction to Creative Writing, and several other writing courses. She also facilitates the University's Writing Across the Curriculum (WAC) workshops for faculty who are interested in using writing to engage their students. She is the winner of the University's 2016 Excellence Teaching Award and the 2013 College of Arts and Sciences Excellence in Teaching Award. Her interests are in writing pedagogy, labor issues, curricular development, and mentoring college teachers. Joe Harris came to UD in 2013 as a professor in the English department. Joe teaches courses in composition and critical reading, and, as the director of the composition program, mentor new teachers of writing. Along wth Christine Cucciarre, he has launched a series of efforts that aim to create an ongoing conversation about teaching in our department—encouraging teachers to visit one another's classrooms and to talk about the work they are doing with undergraduates. Joe and Christine will report on one of these projects at the Summer Institute. The goal of this project is to incorporate more active learning and “hands-on” applications into the undergraduate experience. This is a difficult task especially in relatively large classes. This session will briefly chronicle an ongoing project aimed at incorporating “hands-on” laboratory experiences into pre-existing traditional lecture-based courses. In this case, specific examples relate to interactive brain labs in psychology and neuroscience courses, but a similar template could be adopted for any field. Live demonstrations and student feedback will be provided. Logistical considerations associated with funding, resources, class size, and student engagement will also be discussed. Eric teaches several psychology and neuroscience courses. He is also director of the neuroscience major and neuroscience 4+1 master’s program. From rats to mice to reptiles, his research focuses on many aspects of animal behavior. More specifically, he often take multidisciplinary approaches to investigating the ecological, biological, neurobiological, cognitive, and evolutionary factors driving spatial behavior and social interactions. Time: 2:45 – 3:15 p.m.
Students and novice researchers confronted by the formidable but often unreliable range of information on millions of online sites face serious dilemmas concerning information literacy that have traditionally focused on questions of authority: what makes some sources more authoritative than other, and how to find and identify more and less authoritative sources. This presentation will explore new perspectives on these dilemmas by proposing to change the focus of information literacy from the objects of trust to the subjects who trust. It examines questions of trust—when you need to trust, what can you trust, when you should change what you trust, and, most important, how you should trust—by comparing the ways these questions arise on the information superhighway and the ways they arise in other contexts that turn out to be surprisingly similar. Thomas Leitch is Professor of English and Director of the Film Studies Program. His most recent book, Wikipedia U: Knowledge, Authority, and Liberal Education in the Digital Age, uses the recent emergence of problems concerning the authority of online informational sources like Wikipedia to reopen questions about authority—what gives authorities their authority, what to do when they disagree, whom to believe and why, when to change your mind and why, and how to become an authority yourself—that had long been regarded as settled in the institutions of American education. With recent technology in education, such as learning management systems (LMSs), a large amount of data about learning, learners and learning contexts are being generated. In particular, LMSs collect a large amount of user clickstream data, which indicate users’ detailed activities, such as completing an online quiz, submitting an assignment, and participating in a discussion. Clickstream data often have various proprietary formats and different levels of granularity, which poses significant challenges to related learning data processing, modeling and analysis. In this project, we propose a process mining analysis framework to mine learning clickstream data from learning and teaching process perspective to provide insights on various learning and teaching behavior. Based on the mining results, we aim to provide a number of guidelines and best practices for improving learning and teaching using our LMS at the University of Delaware. 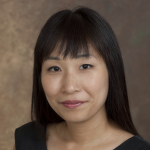 Gang Wang is an Assistant Professor of Management Information Systems at the University of Delaware. 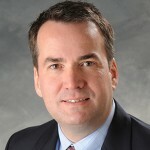 He received his Ph.D. degree in Operations and Information Management from the University of Connecticut. His research interests include social media, e-Business platforms, and firm strategies in e-Markets. 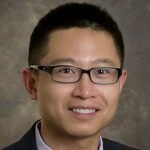 His research has been published in ACM Transactions on Management Information Systems (TMIS) and Journal of Electronic Commerce Research (JECR). He has presented his work at conferences like ICIS and INFORMS. Collaborating across disciplines: Fun for all! Our session will explain the collaborative project called MSMS, “Making Science Make Sense”. Honors biochem students, video production and journalism students worked together in Fall 2015 to make science make sense. We will offer detail on how we designed the course, implemented it, and the student outcomes. We want to offer advice and encouragement to those working on (and who want to work on) cross-disciplinary collaborations. 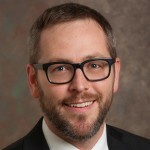 Professor Timmins earned a PhD in Mass Media and Communication from Temple University in 2010 and a MJ (Master’s of Journalism) from Temple in 2001. She brings more than 20 years of experience as a professional television journalist to the University. She worked in large and small-market TV stations in the Midwest and East Coast of the United States, spending 14 years at Philadelphia’s NBC10 as a producer, writer and digital editor. She has worked on-air and been a director, producer, photographer and editor. She has covered stories including the Clinton impeachment hearings, 9/11, the GOP National Convention in Philadelphia and the Amish school shootings. Her research interests focus on local television news and the impact it has on the audience, news media ethics, digital convergence and the field of telepresence. Professor Fajardo holds a Bachelor of Science degree in Biochemistry from Washington State University and a Doctor of Philosophy in Chemical Education from the University of Northern Colorado. 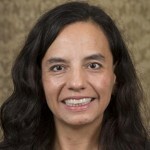 In 1996, Dr. Fajardo was awarded an undergraduate research fellowship from the Department of Energy leading to her first authentic undergraduate research experience in the Advanced Organic and Analytical Methods Group at Pacific Northwest National Laboratory, Richland, WA. Upon completion of her Ph.D, Dr. Fajardo began teaching courses in general chemistry, scientific writing, and principles of scientific inquiry. She also collaborated with high school teachers on implementation of active-learning pedagogies within their own classrooms. Since July 2013 she has been an Assistant Professor within the Department of Chemistry & Biochemistry at the University of Delaware. Within this capacity, she teaches honors-level integrated general chemistry and strives to bring interdisciplinary relevance to her classrooms.